After writing Python FR for the Web, I've mostly been coding in the high-level frameworks. Recently, thanks to an awesome gig, I re-introduced myself to Flask, which is "a microframework for Python". Flask is a tool and a platform. Like any other tools there are right and wrong ways to use it. Unlike some other tools, however, it can be a little unclear how to get started and correctly use it. Before we get started on how to use Flask, let's talk a little about the best practices and where some of the design ideas come from. I've been developing web applications with Django for about a year and a half now. Django adheres to the "Don't Repeat Yourself" policy. One of the many reasons people use Django as their web-framework of choice is because it comes with equipped with a number of tools out of the box. Because so much is built in and because of the way Django is designed there is a "django" way of doing things. If you look at enough Django apps you'll start to see the patterns emerge and get a feeling for how to use it. Most of the design patterns that I've seen emerge in Django projects are in line with some of Python's core principles. Python is itself a tool. In order for Django to be an effective tool it must use the tools it is constructed from correctly. If you didn't already know, Python has some coding "guidelines" that can help you figure out how to best use it. They're called the Zen of Python. Testing is vital. Without properly testing your code, you will never know if the code works as it should, now or in the future when the codebase changes. Countless hours can be lost fixing problems caused by changes to the codebase. What's worse, you may not even know that there are problems at all until your end users complain about it, which is obviously not how you want to find out about code breaks. Having tests in place will help ensure that if a specific function breaks you will know about it. Tests also makes debugging breaks in code much easier, which saves time and money. I've literally lost gigs in the past from not properly testing new features against the old codebase. Do not let this happen to you. Take testing seriously. You will have more confidence in your code, and your employer will have more confidence in you. It's essentially an insurance policy. Finally, testing helps you structure good code, find bugs, and write documentation. In this post, we'll be first looking at brief introduction that includes best practices before looking at a few examples. Unit Tests are isolated tests that test one specific function. Integration Tests, meanwhile, are larger tests that focus on user behavior and testing entire applications. Put another way, integration testing combines different pieces of code functionality to make sure that they interact correctly. Focus on unit tests. Write A LOT of these. These tests are much easier to write and debug vs. integration tests, and the more you have, the less integration tests you will need. Unit tests should be fast. We will look at a few techniques for speeding up tests. That said, integration tests are sometimes still necessary even if you have coverage with unit tests, since integration tests can help catch code regressions. In general, tests result in either a Success (expected results), Failure (unexpected results), or an error. You not only need to test for expected results, but also how well your code handles unexpected results. Yes, you are reading that right. I have finally finished added Django to the course, including an in-depth introduction with a number of projects that segue into an enterprise application. The enterprise app is meant for you to launch your own ecommerce website in the MVP (minimum viable product) fashion. You will receive an email today with the new download link if you already purchased the course. Cheers! There's a lot more to come. Next week will be the first of a series of blog posts covering Flask Best Practices as well as Django Testing Best Practices/Examples. The site will also be redesigned so that there will be a member's backend where you can download your purchased courses. Expect a slick new design. This transition, from a basic HTML website to a full web application, will also be turned into brand new content either for blog posts or the course itself. Expect more videos, more content, and many more BIG things from Python FR. What would you like to see? Have any questions or suggestions? Please leave your comments below. One of my clients literally called thirty minutes ago (last Friday) needing a JSON payload based on a GET response from the data model. I installed django-tastypie and thirty minutes later had the project completed. Although this example is overly simplified, it's not far off from my real-world implementation. Note: Although this tutorial uses Django 1.5, the basic concepts will work on most versions greater than 1.3. Either follow along below to create your sample Project or clone the repo from Github. Make sure to add the app to your INSTALLED_APPS section in settings.py. Click here to view part 1 if you missed it. 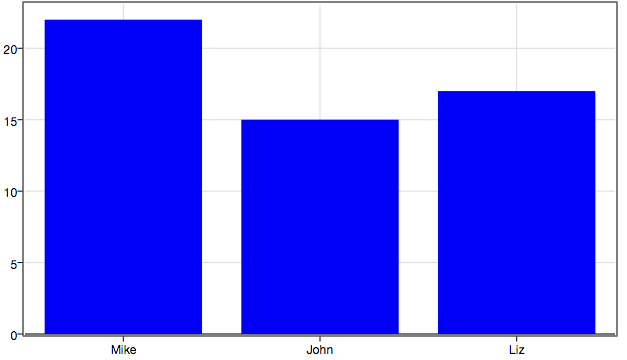 In the first function, form(), we created an HTML form for capturing the data we need to make a bar graph. Then in the second function, submit(), we grabbed the form inputs, assigned them to variables, then used the plot.ly API to generate a new chart. Make sure you replace the username and key variables with your own credentials. Run your app locally, python app.py, and go to http://localhost:8080/plot.